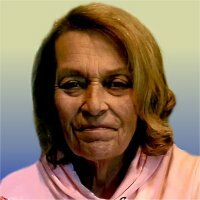 Diana J. Lewis, 70, of Belleville, Illinois, born Friday, March 11, 1949, in Belleville, IL, passed away Sunday, April 7, 2019 at Evelyn’s House in Saint Louis, Missouri. Diana worked as a Customer Service Rep. for AT&T. She was a member of Metro East Christian Fellowship Church, O’Fallon Illinois and (CWA) Communication Workers of America Local #4217. Visitation: Private Services held at Kurrus Funeral Home, Belleville, Illinois. Funeral: Private Funeral Service held at Kurrus Funeral Home, with Pastor Rich Bersett officiating. Interment at Walnut Hill Cemetery, Belleville, Illinois.